Earlier this year we were lucky enough to have a visit from the Côte d’Azur’s Jordan & Lola: AKA Two Travelers. On board the beautiful Rinaldo Bali 4.3, the pair sailed around the Whitsundays taking in the scenery from above and below. Jordan and Lola enjoyed kayaking, stand up paddle boarding and swimming with turtles, stingrays and plenty of colourful fish. The magnificent sunsets and white sands were also a highlight. One of the biggest surprises to the Two Travelers was the incredible value for money chartering a yacht in the Whitsundays represents. “When comparing the prices to a basic one day tour or two days tour companies (about $600-$700 per person), you will have a lot better [value] on board a beautiful catamaran..
Not to mention all the extras on board including a barbeque, Nespresso Machine and snorkel gear. 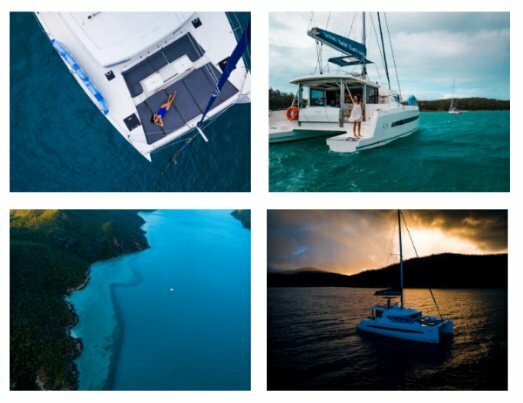 We have charter yachts in the Whitsundays to suit all tastes and budgets; explore our range of catamarans, monohulls and power vessels. Two Travelers believe ‘Life is a journey that we want to share with you’ and this is reflected in all their travels which you can check out on their inspirational travel blog. Ready to embark on you Whitsunday sailing adventure? 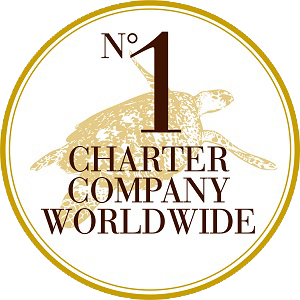 Call the reservations team at Queensland Yacht Charter to find the perfect charter yacht for you.